Looking for a place that welcomes the kids *and* Fido? You’ll find some great pet-friendly lodging properties right here in Boulder Junction. 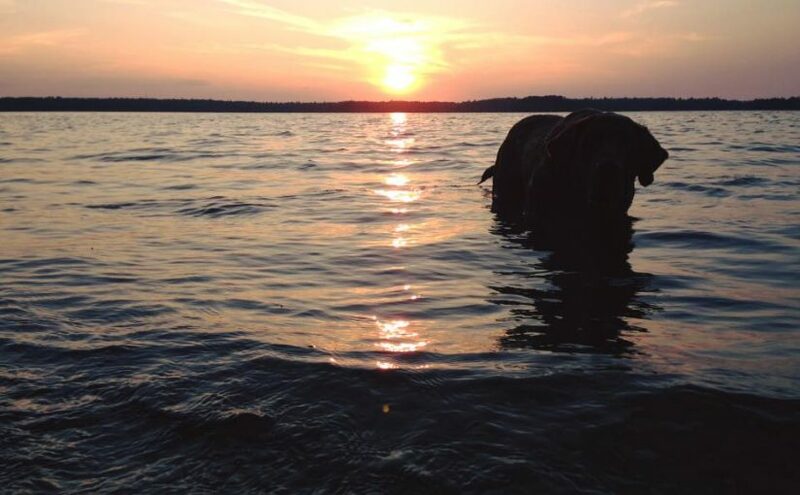 Read on to find out where to plan your pet-friendly getaway! Find all Boulder Junction lodging properties here. Two, 2-bedroom cabins, 1 with double bed, the other with 2 twin beds. Each cabin has a fire ring, picnic table, and bench. Located on a 67-acre no-motor lake. (Trolling motors okay.) Pets welcome with a fee. There are two 14-foot Lund rowboats, canoes, kayaks, and a pedal boat. Please bring your bath towels – all other linens are provided. We are a small housekeeping resort with 2 year-round cozy two-bedroom cabins located in Boulder Junction on quiet Middle Gresham Lake at the end of the road for peace and tranquility. 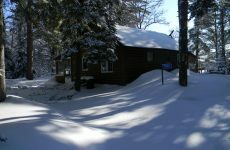 Conveniently located just 13 miles north of Minocqua for your 4-season vacation destination. For snowmobiling we have easy access to trail #8. Clean/comfortable cabin just north of Boulder Junction on Kitten Lake. 2 bedroom, 2 bath, sleeps 5. Kitchen, living room with fireplace, 3-season room, TVs, free WiFi, dock, beach and more. Kitten and Wildcat Lakes are excellent for musky, walleye, large mouth and small mouth bass as well as crappie. Private Lodge and guest House on Boulder Lake. 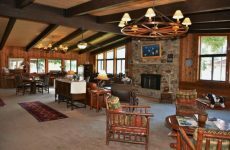 Our recently renovated lodge offers 3 bedrooms, 2 baths, full kitchen and scenic deck overlooking the Lake. Guest house with 2 bedrooms and 1 bath. We have great Lake views and can sleep up to 18. Ten minute walk to downtown Boulder Junction. Close to bike trails, State Forest and snowmobile trails. A family owned resort offering 8 lakefront cabins and homes with the capacity to accommodate larger groups. All cabins feature spectacular sunrises, screen porches and are spread across 1000’of crystal clear Presque Isle Lake frontage. Class A Musky and trophy Smallmouth Bass fishery plus access to a 4 lake chain combine for over 1500 acres of water to explore. 12 acres of park like grounds create a relaxing atmosphere with sun decks, sandy swim area, plus access to hiking/biking/snowmobile trails, there is something for everyone! 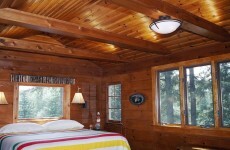 Individually owned, well-kept cabins on the Wildcat Chain of Lakes, with private piers. 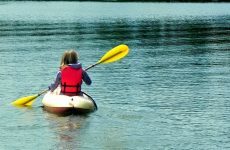 Fishing, swimming, kayaking, biking and other activities nearby. Accommodations for 2-6 people, or for larger groups consider multiple cabins. 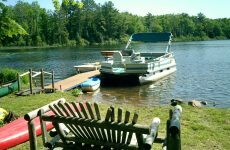 Lakefront vacation homes, excellent, modern accommodations on beautiful Lynx Lake and on main snowmobile trail. Sandy beach, boats, motors and canoes available. Excellent fishing. MI licenses available.